TEOXANE hyaluronic acid skin care products benefit your complexion. 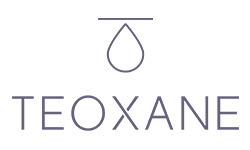 TEOXANE Laboratories specializes in the design and manufacture of Hyaluronic Acid-based products. Unlike traditional hyaluronic acid, TEOXANE’s RHA Resilient Hyaluronic Acid® is uniquely formulated to provide a hydrating layer on the surface of the skin. It moisturizes and tightens the skin while acting as a matrix, rich in ingredients that are gradually released for a targeted response to the visible signs of aging. I added this to my regimen, as my dermatologist recommended and was cheaper on LovelySkin. It’s a serum, so I use right after my C E SERUM. Skin looks great, and this complements the other Teoxane line. Very gentle and thorough cleanser. You don''t have to scrub, and it doesn't dry out your skin. Very pleased, will reorder.